AHK at OSF HealthCare Children’s Hospital of Illinois one step closer to opening! 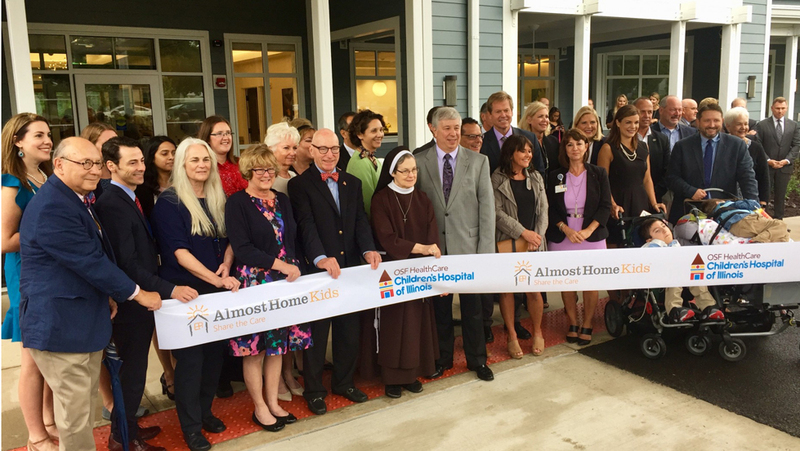 The official ribbon cutting for the brand new Almost Home Kids at OSF HealthCare Children’s Hospital of Illinois took place recently and is the precursor to the actual opening – when children will be admitted – on September 24th, 2018! We are thrilled to see all the many months (and years) of planning come to fruition in the form of a beautiful new home close to the hospital, and convenient for families in the Central Illinois area. With 12 private rooms, and ample space both inside and out, this Almost Home Kids not only looks great, but will be very functional for the clinical staff and very comfortable for the kids.